In the early ’90s, the Egyptian government started paying more attention to urban centers in South Sinai in an effort to promote Egypt’s tourism portfolio. One of these urban centers was a beautiful city named after its golden sands. Back then, Dahab was only known to foreigners and a handful of Egyptians, and it was famed for its serene, blue waters, towering mountains, diverse wildlife, and of course, the sands of gold. It was a place where people went to become one with nature. As the years went by, Dahab’s star has risen, and it attracted more and more people, who came either from abroad or from the different governorates in Egypt. Many even decided to settle there and open small businesses, never riding themselves of its beauty. Life was booming in Dahab, and unfortunately, the years have taken their toll on the environment. 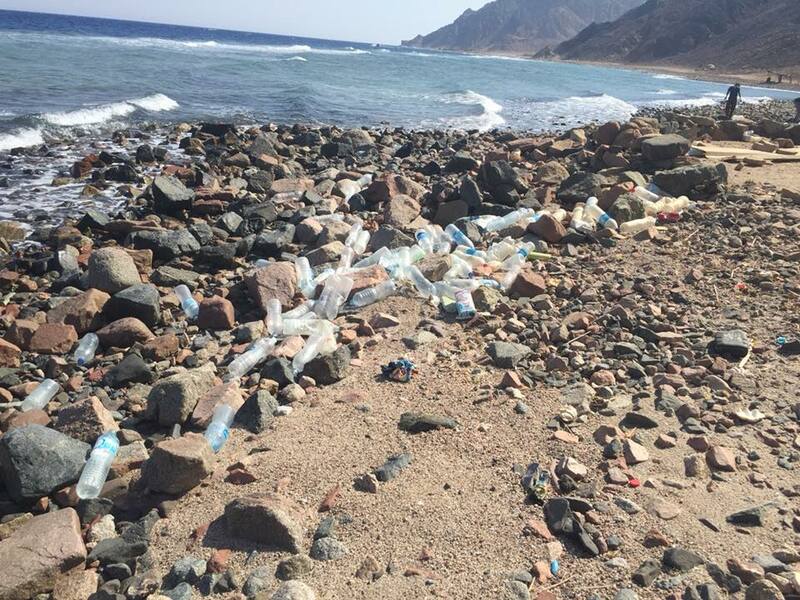 Many of Dahab’s visitors litter its streets and waters with plastic and trash all due to the lack of oversight and ignorance of Egyptian protectorate law. The beautiful nature of Dahab is deteriorating one day after another; the Blue Hole diving spot has turned into a snorkeling hub with people stepping and walking on coral reefs, killing the gentle sea animals in the process. Many have been vocal about it including the Dahab Defenders, who published a petition, pleading with the Ministry of Environment to save the city. 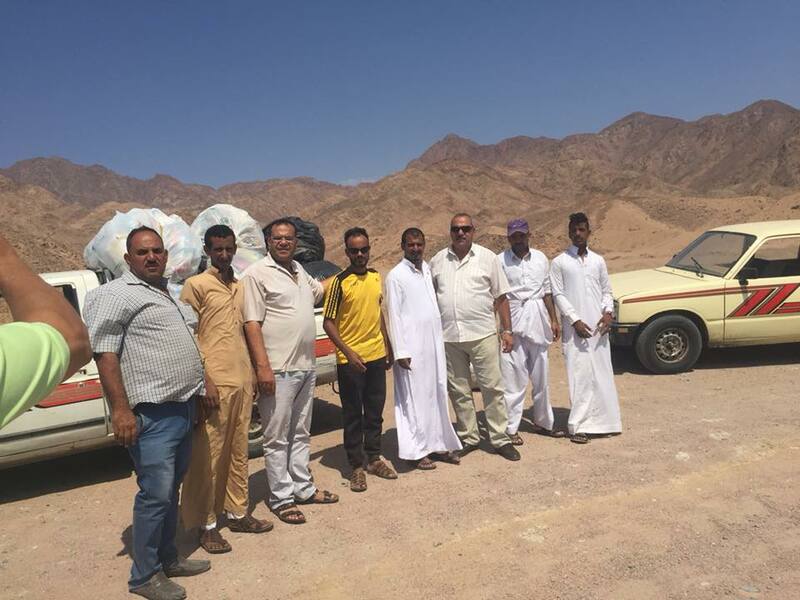 However, not all heroes wear capes, and while we are all talking, the original inhabitants of South Sinai, the Bedouins, are organizing cleanup events of Dahab’s landmarks. Their last cleanup was on the 19th of January and was in cooperation with Dahab’s many diving centers. The volunteers cleaned the beach from the Blue Hole to the Ras Abu Galum protectorate. The Facebook page Bedouin Cleaning Up documents the many events the group has organized and has pictures showing the volunteers picking up plastic bottles, old fishing nets, and trash of all kinds. The rubbish is then transported on camels to the correct disposal place. What the Bedouins are doing is something worthy of both respect and praise; after all, South Sinai has been their home before all the tourists and locals moved in. It only makes sense that they take care of it and make it sustainable for future generations to enjoy its beauty.